Grout sealer saves time and money in the long run!!! After you repair or change the grout for your home, it is a good idea to use a Groutshields Color Sealer. This type of product will reduce the chances of the grout becoming discolored due to dirt, food or drinks. Some of the sealers you can find will also protect your home’s tile but the best product that we found was the Grout Shields Color Seal, even if you have ceramic or stone tiles. 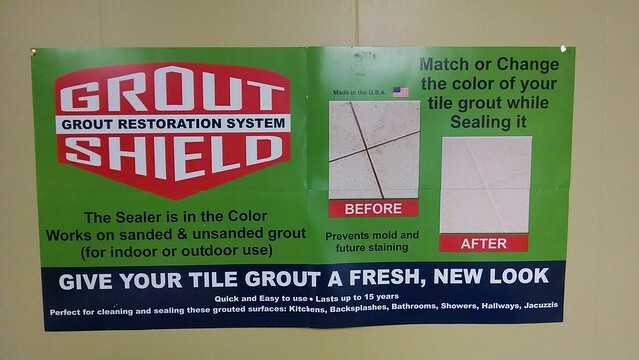 By utilizing a grout color sealer like grout shield, you will be able to save yourself time and money, since you will not need to replace the grout a second time. Some people may not realize that certain substances can damage the grout that is in between their tiles. They may assume that utilizing a sealer for the grout is an optional step that will not hinder the color of the area if they choose not to use the product. However, if you do not use a grout color sealer, you may find that after a few months or a year that the area will start to change colors. If this should occur, you will need to think about changing or restoring the grout lines for a second time. When you choose to purchase and then use a grout color sealer for your home’s grout lines, you may find that it will offer you a better result that will last longer.